People are always looking for shortcuts. 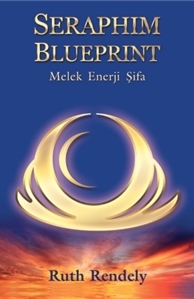 This book presents a healing system that recreates the body as if a person were meditating daily, even though they have no time to meditate. When Ruth first met this angel in 1994, he psychically told her that he wanted to revive an ancient healing system for modern use. On their second meeting, the angel demonstrated what he meant by transmitting healing energies into her body in six-minute installations. 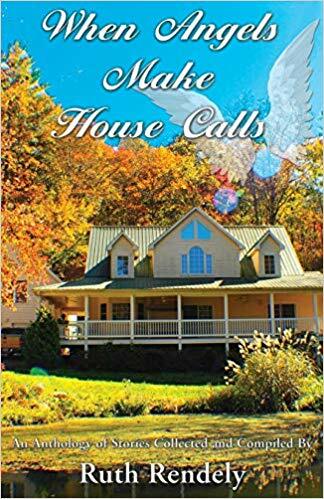 These energies immediately fixed minor pains, and left her exhilarated. Having been a long-time meditator, she noticed how similar the energies felt to her meditation practice. This is when she decided to go ahead and work with the angel. Now she realizes that most people do not have time to meditate daily, and that the energies once installed in an individual do the same repair of the body that a daily meditation practice accomplishes. This may be the key to the system’s success. 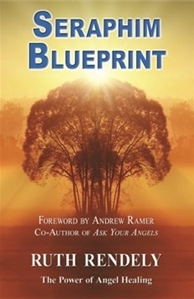 To find out more about the Seraphim Blueprint, the book, or the organization, or to schedule an interview with the author/founder, please contact Ms. Rendely at 1(800)736-3351. 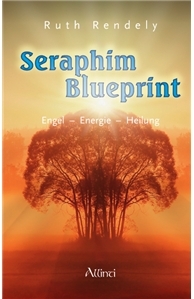 The Seraph created the formula for both mists to provide another way we can connect with the Seraphim Blueprint energies. One is to uplift our auras, and the other is to maintain an angelic presence in our personal space, home and office. With just a couple of sprays you will feel a gentle lift and purification. The Seraph Space Cleanse (blue bottle) will enhance a previously installed Seraphim Healing energy grid, but its real feature is that it comes with a personal angel that will palpably change the energy in the designated area. The first time you use this spray the angel permanently installs itself in the space chosen and works continuously to keep that space clear using Life Force energies. 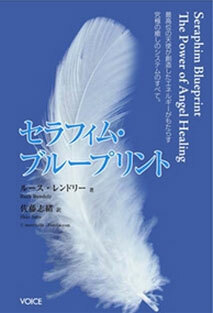 The angel’s purpose is to maintain health and well-being for all life forms in that area. The cleanse contains several wonderful aromatherapy scents, along with channeled energies from the Seraph. The Seraph picked the essential oils to be included in this mist, and the combination is highly unusual. This personal spray is for use around the body, or just the head and shoulder areas. It’s primary purpose is to support, clear and protect the auric field. It is useful in times of stress to provide protection from negative thought forms. In summer heat it also is very soothing and cooling. Again the Seraph picked the sweet essential oils for this special formulation.